Working on their incarceration simulator Prison Architect, co-creators Mark Morris and Chris Delay ran into an unexpected legal trouble when the British Red Cross organisation emailed them with the perplexing notice that their game had breached the laws of the Geneva Conventions Act from 1957. As bizarre as it might sound, the two developers had apparently used an internationally protected sign without realizing it’s not free to use. The symbol in question? A five-pixel wide red cross displayed on ambulances inside the game. While this might seem like a silly violation, PC Gamer explains the iconic symbol doesn’t belong to the public domain, but instead is the property of the International Committee of the Red Cross, which reserves the right to protect the sign from any acts the institution deems as misuse. Though initially Morris and Delay thought someone was playing a prank on them and their company, Introversion Software, the email turned out to be absolutely legitimate. It also meant the company had been breaking the law for years. If the red cross emblem or similar signs are used for other purposes, no matter how beneficial or inconsequential they may seem, the special significance of the emblem will be diminished. The red cross emblem or similar designs are not general signs of ambulances, health care, first aid, the nursing or medical profession, or similar matters. Moreover, they are not signs to be used for commercial purposes, such as for advertising campaigns or on products. Morris and Delay have since gone on to adjust all instances of the red cross emblem in Prison Architect as to avoid potential legal issues, but they’re hardly the only ones to have done so. 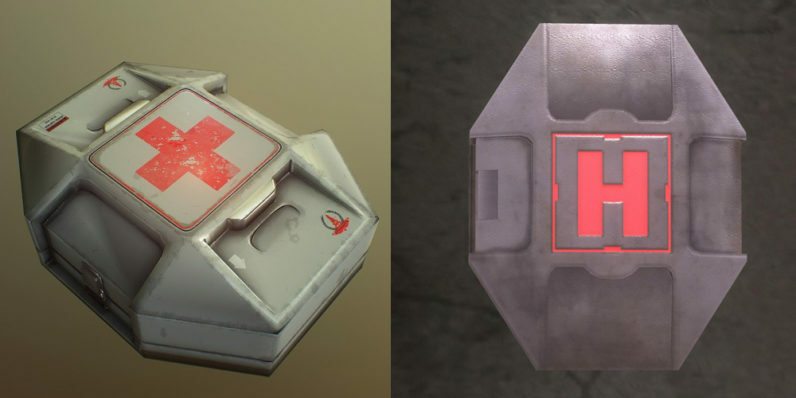 As you can observe in the feature image, smash-hit game Halo too decided to silently move away from using the red cross sign, replacing it with a simple ‘H’ instead. In a similar fashion, years ago Japanese toy-maker Takara opted to refrain from using a plain red cross emblem when working on its Transformers Masterpiece series, re-sketching their designs to resemble the trademarked symbol less. Introversion Software has uploaded a video on YouTube where Morris and Delay have summed up their peculiar story. Watch the clip below to get their perspective on the full story.